HKS Full Turbo Upgrade Kits are designed to replace the entire factory turbocharger system with a high-performance turbo that maximizes the horsepower potential of the engine. 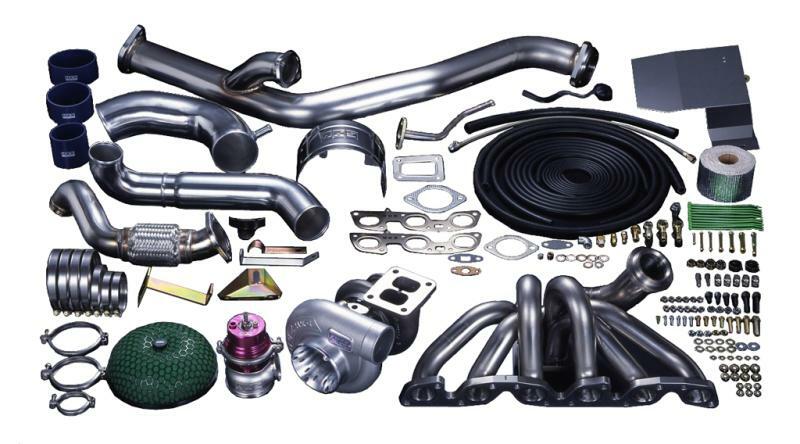 Included along with a HKS Signature Series or GT Series turbo(s) is a more efficient turbo manifold that has been precisely engineered out of cast-iron or tubular stainless steel. —- An HKS external wastegate is also included along with a downpipe, suction pipe, intercooler pipe and all the necessary fittings and lines for a complete installation. HKS Full Turbo Upgrade Kits are strictly for off-road use only.